It was 7 a.m. on a Monday morning. Nick Camechis, owner of Capital Shoe Fixery, was already in the back of his shop working. As I walked through the front door, Jazz, a beautiful black lab and the unofficial store mascot, was fast asleep on her dog bed and greeted me warmly when I moved to pet her belly. I have been a customer of Nick’s for over 8 years, but we had never discussed the origins of his business— probably because I had never asked. We sat down in the lobby and I proceeded to ramble off my list of questions. We talked for about half an hour and I snapped a few photos. I thanked him for the interview and was on my way, but not before handing him my favorite pair of Etienne Aigner loafers that needed restoring. In the days that followed, one aspect of Nick’s story seemed indelibly etched in my mind: hard work. 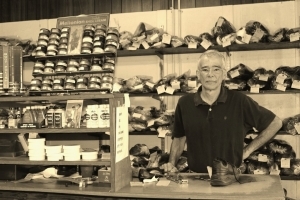 A value that was instilled in him by his father, working hard and genuinely caring about your profession is why Capital Shoe Fixery has been around since 1938. Originally owned by Elton and June Henley, Nick’s father Jonnie bought the business in 1966. A restaurant owner at the time, Jonnie changed vocations in hopes of finding a career more suitable for family life. It wasn’t long before Nick was spending his afterschool hours working alongside his father. “I did it because my dad did it. 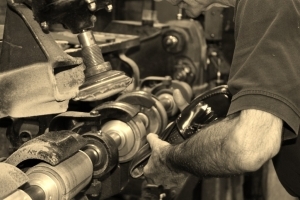 I also enjoyed contact with people and loved to work with my hands.” In later years, Nick took over the business and continued to run the shop just as his father had. With a continually growing clientele, ranging from politicians and dancers to college students and orthopedic patients, Nick’s handiwork and amazing customer service are a direct reflection of his success. If we can’t fix it, we will be honest with you. I needed my shoe fixed for a wedding and completely forgot to pick it up. He met me at the airport and gave dropped off my shoes after calling him. THAT’S SERVICE!!! I have been a customer of Capital Shoe Fixery for years. The prices are always fair and they always are honest with me and let me know if its not worth putting the money into the shoe. 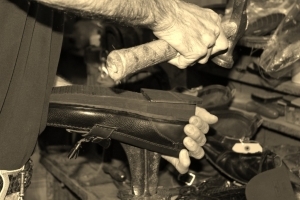 Have been fixing my work shoes for years and has recommended the best type of shoes that will last. They have saved me lots of money.